In terms of bathroom maintenance, taking care of your toilet probably isn’t very high on your list of favorite things to do. Though certainly not the most glamorous fixture in your home, your toilet is certainly one of the most used, and if it isn’t working properly, it can really put a damper on your day. 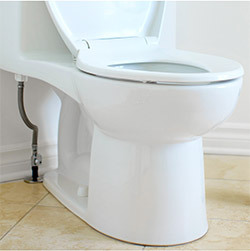 Fortunately for Rochester-area residents, GT Campbell Plumbing offers a full range of toilet plumbing services. There are several problems that can arise with a toilet. While many may seem minor, they all require prompt attention. Even the smallest issues can lead to wasted water and potential damage to your home, and today’s minor problem could become tomorrow’s plumbing disaster. When it comes to dealing with problems with your toilet, being proactive is always the best approach. If you need any type of plumbing services for toilets in Rochester, trust the expert plumbers right here at GT Campbell Plumbing. Whether you have a minor problem or a major disaster like an overflowing toilet, we have technicians available around the clock to provide fast and affordable toilet repair services when you need them most. For toilet repair, installation and maintenance in the Rochester area and throughout Monroe County, call contact a trusted plumber in Rochester NY now.